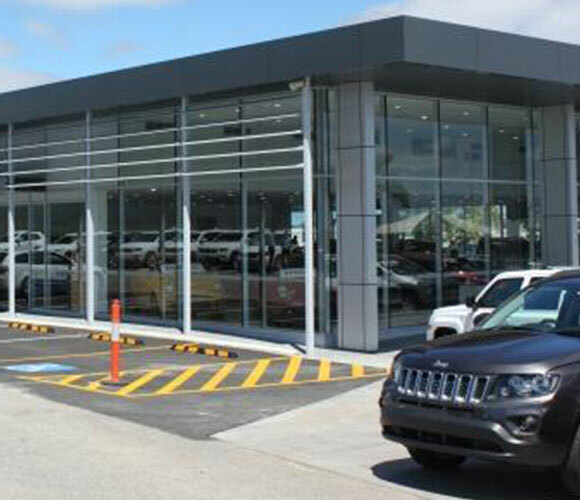 This project saw the addition and alteration of the existing Jeep Chrysler Sales Centre in Wangara. 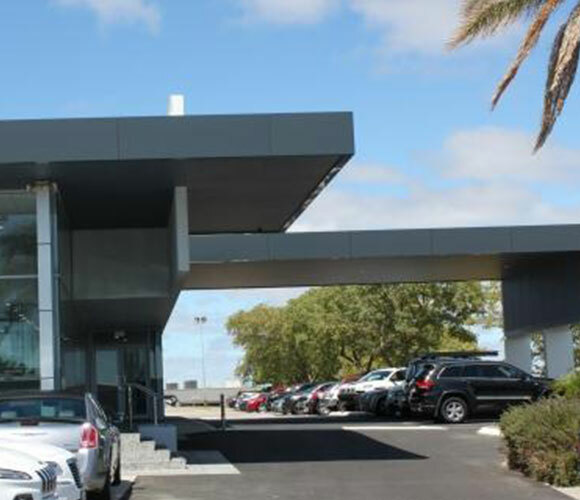 It included the addition of 240m2 of showroom floor, new full height glass partitioned offices, upgraded services and the creation of a new high impact modern façade. 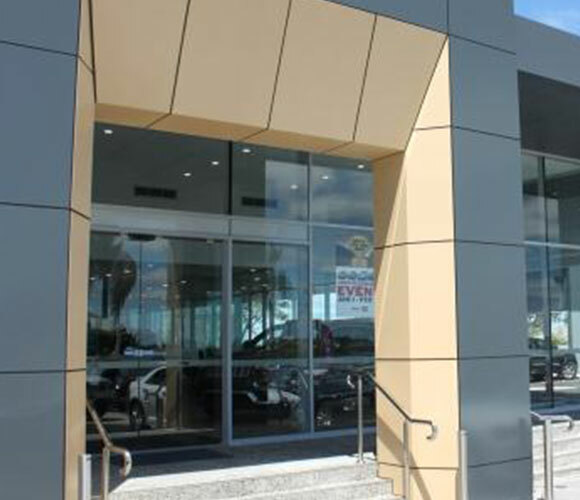 A critical requirement of this project was to conduct our works with as minimal interruption to the operations of the sales and service centres. Works and deliveries were carefully managed around a sales yard crowded with expensive cars and the public. 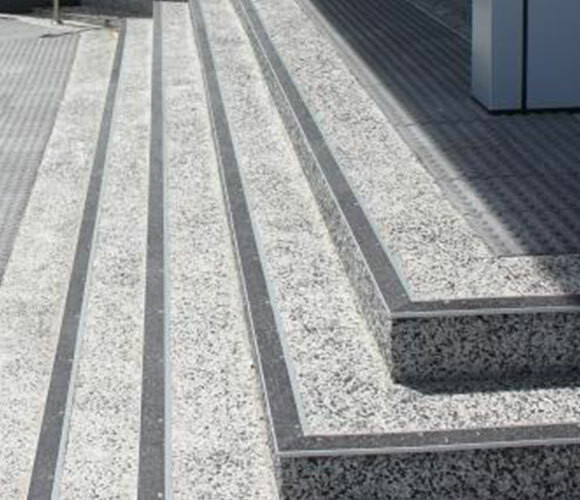 This was achieved through good site management, clear communication and the use of professional tradespeople. The project commenced with the careful and strategically staged demolition of the existing structure that enabled the streamlined insertion of the new and expanded structure. Careful site management enabled the concurrent internal fitout works to be coordinated with external framing and cladding works. This was an important aspect of completing the project within the required timeframe. Good planning, organisation and site management during the establishment and construction phase was conducive in generating good client relationships that produced a product that met the client’s operational needs and budget. Live site, public exposure, close client relationship › High quality retail showroom › Compliance with national design guidelines and requirements.